This last week Samsung rolled out the Galaxy Tab 10.1. 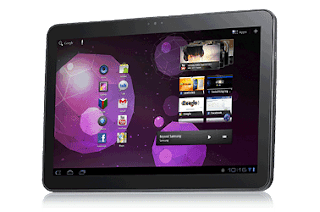 It runs Android 3.1 (Honeycomb) and is known to be the thinest and lightest tablet on the market. When this was first announced it looked like just another tablet. Once the iPad 2 was announced Samsung reworked the design of the Galaxy Tab put it on the market very quickly. Samsung has put together a few how to videos about getting started and basic navigation of the tablet. They are the perfect videos to watch if this is going to be your first tablet or Android device.